This is the first post in a series by our collaborator megax, who will be hosting weekly translations highlighting Naoko Yamada’s oeuvre for the next few months. We thought it was an exciting project worth hosting, and we’ll be writing something for it as well. Enjoy! Hello everyone, megax here with a new weekly feature this season. A lot of the writers on this site have their own favorites and want to promote their work. I’m no different than them. With 2016 essentially being the year of Naoko Yamada at Kyoto Animation (series director for the Sound! 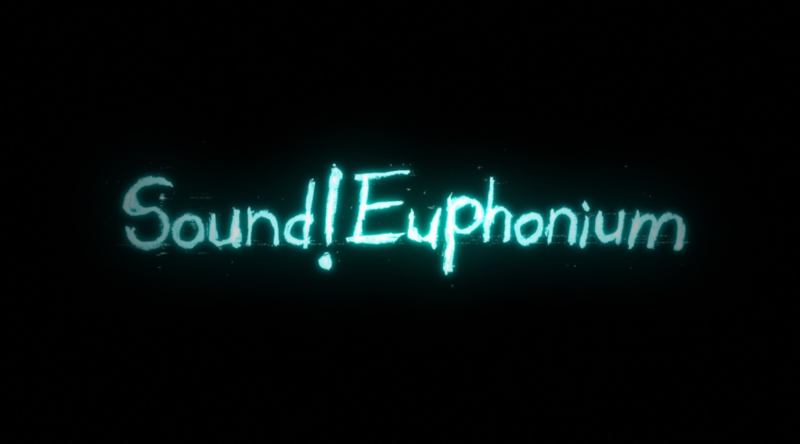 Euphonium movie, director for A Silent Voice, series director for Sound! 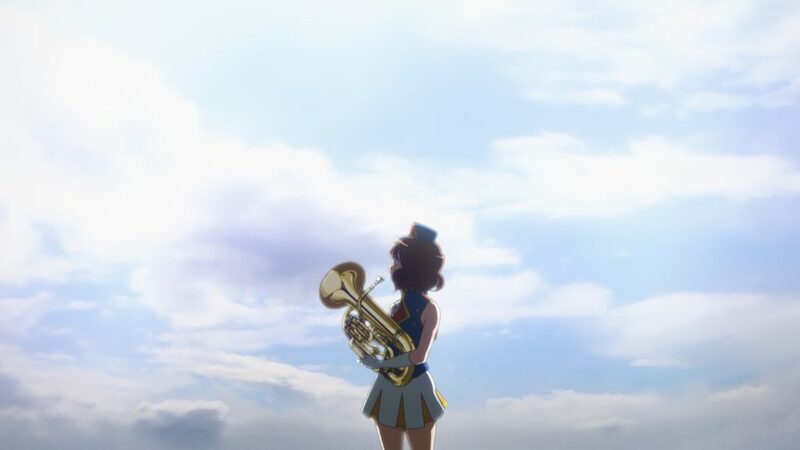 Euphonium 2), I wanted to end it with a celebration of her recent creative works throughout this season. So stay tuned as today starts 13 weeks of celebrating Naoko Yamada! We start appropriately with a translation of a transcription posted by Sekai of the stage greeting following Shinjuku Picadilly’s screening of Sound! Euphonium The Movie with the movie director Tatsuya Ishihara and series director Naoko Yamada. As the post was from notes/personal memory, there may be some inaccuracies in the phrasing/wording of the answers, but the general theme is correct. Yamada: To all of you Sound! Euphonium fans, how do you do this evening? I’m Series Director Yamada. It’s a pleasure to be here. Ishihara: I’m director Ishihara. Nice to see you all. Yamada: Shouldn’t it also be “good evening?” (the stage greeting started at 22:30) Excuse us for how late it is. Mukai: This is the first time you two have come out at an event like this isn’t it? Yamada: We appeared together on the KyoAni 4 director stage event, but this is the first time with just the two of us. Mukai: What were you like when you started working together? Ishihara: Let’s start the fade-in at a point when I was directing a work and Yamada was drawing key animation for the first time. (towards Yamada) Is it alright if I say the name of that work? Yamada: There’s no need to hide it. I joined KyoAni in 2004, so this is my 13th year working there. I debuted as a key animator during AIR for the “Summer” episodes. Ishihara: And then afterwards, you became an episode director in Clannad. Yamada: I got to direct K-ON!! 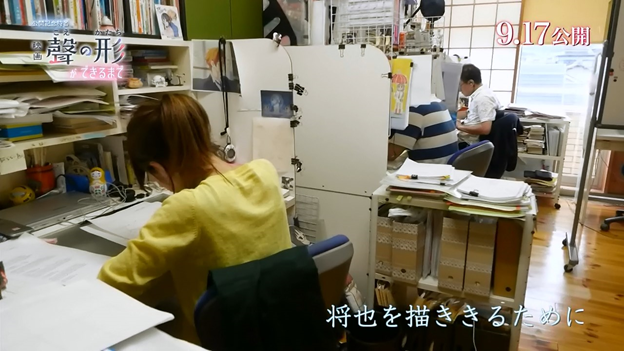 Ishihara: It’s similar to when we worked on K-ON!….and somehow not. Mukai: What were your first impressions of each other? Ishihara: I thought she was a weird subculture girl who went to an arts university. Yamada: Ishihara-san is an amazing senior with a long history of works and yet he’s on the modest side. When it was time for us to design the retakes for my incredibly awful key animation for AIR, he would sit across from me and explain it to me so humbly. Ishihara: A director and the staff they work with have to suit each other. Mukai: This is my first time sitting on stage in a seat of honor for a stage greeting. Ishihara: The other day I instructed (Kumiko Oumae’s voice) Tomoyo Kurosawa-san how to act when sitting in one of these. When you’re standing, it’s somewhat like you’re looking down from up high, but when you sit, you can meet each other’s eyes. Mukai: Is there anything you’d like to hear from each other? Yamada: Director Ishihara and I sit near each other. We’ve been warned by our manager that we have too many packages and cardboard boxes at our desks. Is talking about that okay? Ishihara: Isn’t that rather something we wouldn’t like to hear about? Mukai: Were there any difficult parts or tales during the production of Sound! Euphonium? Ishihara: I’ll talk about this for the first time. Yamada-san determined the names of all the band members. Yamada: I chose their names from older Group Sounds band names. For example, you have Juri Sawada (Kenji Sawada & his nickname Julie) and Tsubame Kamiya (Hiroshi Kamayatsu). The percussion members had names around that band (The Spiders). Ishihara: Frankly the names of the band members were very good. I borrowed the station names from a certain electric railroad company for the classmates. It’s the first time I’ve let that leak too. Mukai: While we’re reminiscing about Sound! Euphonium’s production, were there any events that you scouted for locations? Ishihara: The location is in our neighborhood, so we didn’t have to travel that far. I didn’t go to it, but Yamada-san went to the Kansai Concert the year before last. Yamada: Three schools from the Kansai Concert move on to Nationals. Our producer’s alma mater got dud gold. The guy broke down in tears. It’s my belief that you don’t cry when you’re working; you go to the bathroom when you need to cry. But I unintentionally cried at that moment. Ishihara: I cry when I’m drawing storyboards. Yamada: Sound director Yota Tsuruoka-san had an obsession with the sound of the movie version. The sounds for the TV series had a fluent and adolescent feeling to it, but the movie version was changed to be a cooler sound. It was recomposed for a 5.1 channel mix. Ishihara: There’s a difference in how the sound spreads from the first tuned version and for the newly tuned version. Yamada: That first “bam” is cool. Mukai: The movie’s home release goes on sale today. There’s a lot of bonus features. Photographs taken at the concert are included and the audio tracks have a DTS Headphones X version where you can replicate the 5.1 channel surround mix using your stereo headphones. Ishihara: You only have two ears and yet you’re able to tell when sounds are above you and below you right? Surely it’s something like that. Mukai: Today the broadcasting date for Sound! Euphonium 2 was unveiled. What should we look forward to? Ishihara: What can I mention…..
What I personally put a lot of energy into was the Uji Fireworks Festival. It really resembles the real deal. This might make me sound like a maniac, but since there hasn’t been one in the past two or three years, I reproduced it from memory and older photographs. When I went to consult Nagura-san who had the photographs, we also made sure that the sound of the announcements would also echo like in reality. Yamada: The speakers reverb quite a lot, don’t they? Ishihara: Uji is surrounded by mountains, so the announcements have to echo or else it wouldn’t be the real thing. If people from the area were to watch it, it would have to feel real to them too. Yamada: My highlight is the same as always: the fiery friction from the group of girls. We’ve depicted the subtleties of their hearts in that regard. One characteristic of wind ensembles is the energy you expend. You’re in a somewhat trance-like state during your mornings, afternoons, and evenings. If you just look at that moment, there’s a sense of “alive”ness to it. Also, we have things like shameful male band members too. Ishihara: The point of view from Ayano Takeda-sensei’s novels is very entertaining. Yamada: For the first time in a while, I thoroughly read through the source material. Mukai: So will it get even more fiery in the future? Ishihara: Kumiko has changed from season 1; she becomes a fiery girl herself. Yamada: Kumiko moves three-dimensionally in season 2. Ishihara: She was passive in season 1 and she’s now active in season 2. Mukai: Finally, please give one last statement to the audience. Yamada: Thank you all for gathering here today. It was amazing to see the intensity of the movie on the big screen again. My film, A Silent Voice, opens on September 17, so please see it if you would like to. We didn’t cut any corners on Sound! Euphonium 2 either! Ishihara: Thank you for meeting us at such a late time. Please enjoy and support us again next month when our production, Sound! 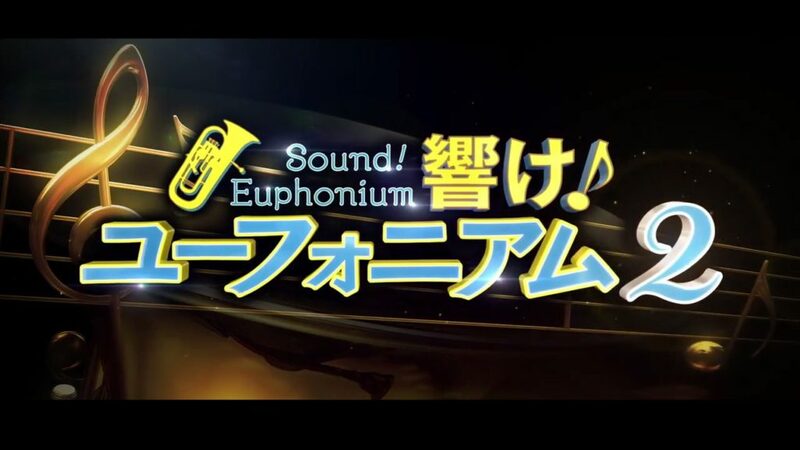 Euphonium 2 begins airing. Thanks for translating this. One question: from this interview and the one that I’ve previously read (https://ultimatemegax.wordpress.com/2015/09/27/sound-euphonium-roundtable-director-tatsuya-ishihara-series-director-naoko-yamada-author-ayano-takeda/) it seems like Ishihara and Yamada split directing duties with her overseeing the overall story and Ishihara working on the primary production with the staff. But whenever I see people praising Euphonium’s directing they only talk about Yamada. Where’s the love for Ishihara? Yamada storyboarded way more than he did, handled all the important moments and generally had a way stronger control over the artistic aspects of direction (which is why its visual vocabulary is very much like her solo works). Even if Ishihara as kantoku technically outranks her, the entire series feels more like her work than his. You also won’t see anyone praise Ishihara as Disappearance’s chief director – hell, people barely seem to know he had a ‘higher’ role than Takemoto there because the movie by all means is the latter’s work. I guess that’s Ishihara’s role as their senpai, to help lift some of the directing burdens off their shoulders so they can exert their creative muscle and develop their talents as the next generation of KyoAni directors that will eventually replace him.